Infrared Turkey Cooker And Other Improbable Culinary Gadgets : The Picture Show In light of this culinary season, see some early oddball kitchen gadgets. 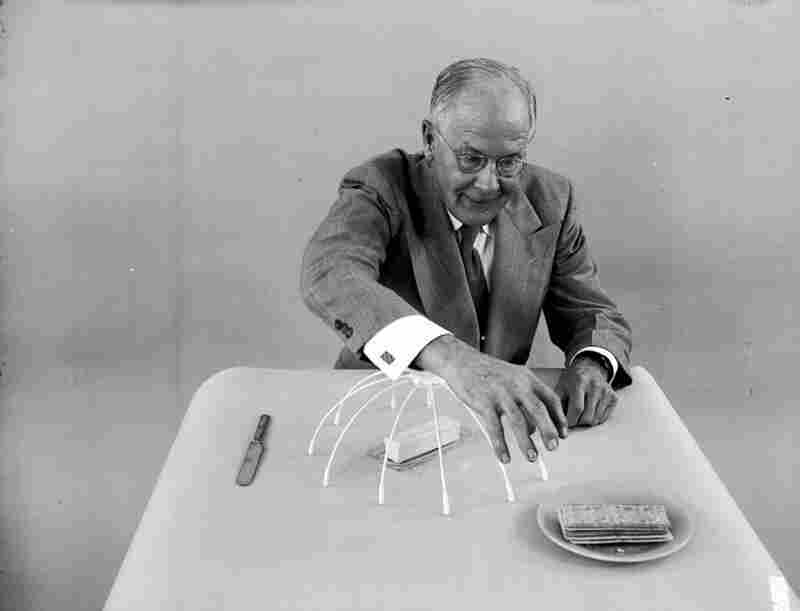 According to this 1939 article in Popular Science, Russell E. Oakes was an advertising man who, in his spare time, came up with "more than fifty screwball innovations," like a doughnut dunker, a horizonal toast-popper and a wind-up spaghetti fork. "Since demonstrating this hilarious 'hydraulic lighter,' " the article reads, "Oakes has been in wide demand as an entertainer." Apparently, at the time, Oakes was something of a national sensation. About 70 years later, his inventions still have a certain absurd appeal. 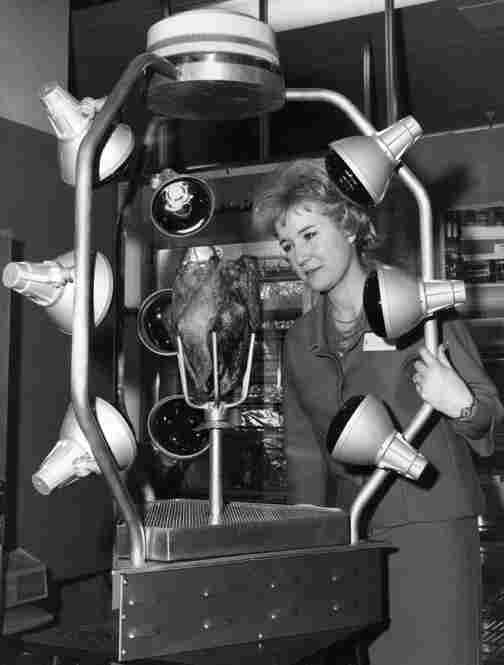 In light of this culinary season, 'LIFE' is revisiting some of Oakes' kitchen inventions — as well as other oddball gadgets found in historical archives, such as this infrared turkey "cooking unit." Here's one way to cook your Thanksgiving turkey: The 'Barbecue King' infrared cooking unit, on show at the United States Trade Centre catering equipment exhibition in London. 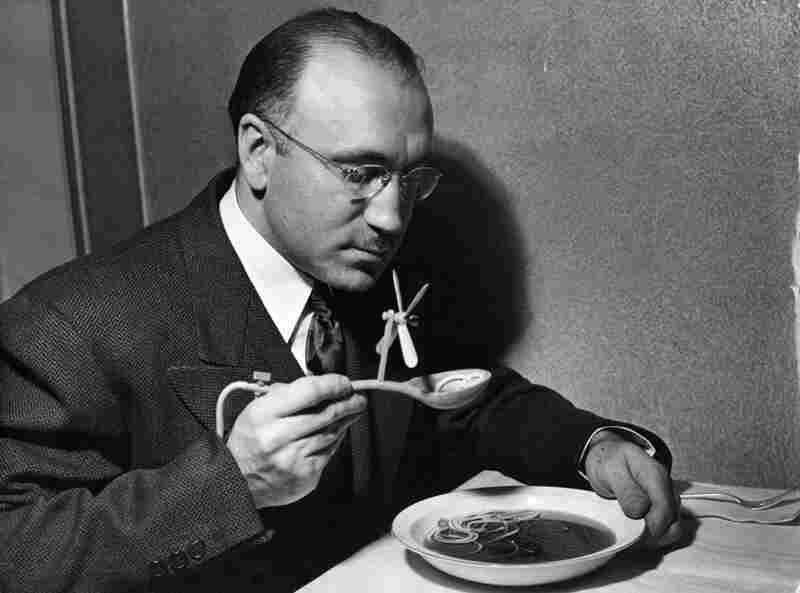 A man eating soup with a mechanical soup spoon. The device is intended for dinner parties where the hostess serves inedible soup. The offending soup is drained through a hollow handle, via a tube hidden up the sleeve, into a bottle attached to the leg. Foul odours are blown away by the propeller. The innocent hostess believes the device is simply for cooling her delicious fare. 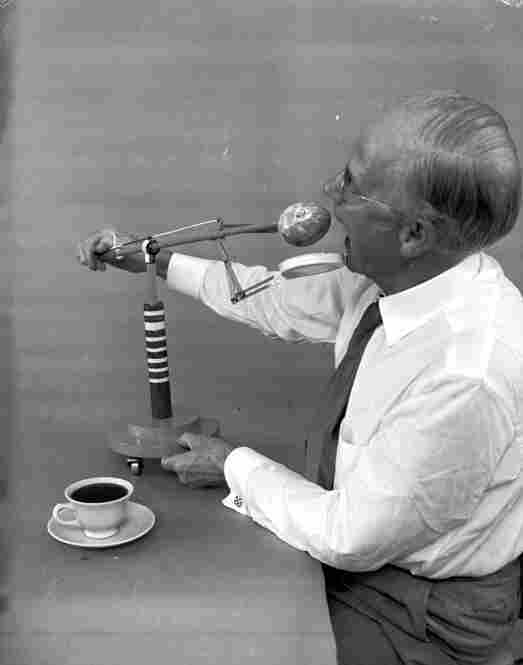 American amateur inventor Russel E. Oakes demonstrates his doughnut dunker, which prevents doughnuts from dripping and wetting the diner's fingers, heaven forbid. 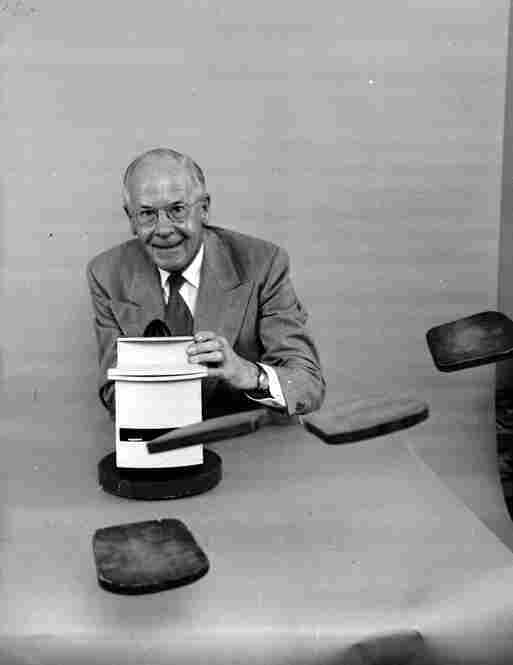 Oakes poses with his 'pop at you' toaster which ejects toast forcefully and horizontally. 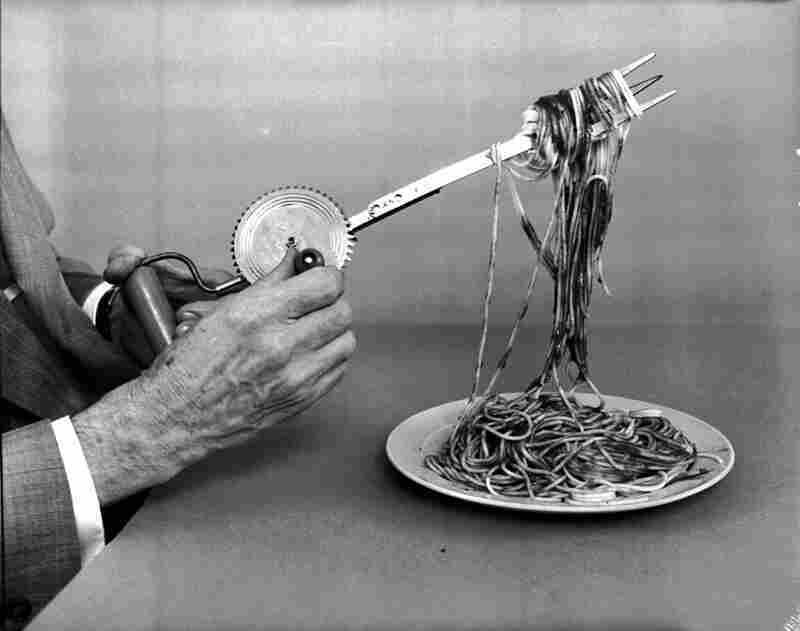 A wind-up spaghetti fork in operation, devised by Oakes. The fork winds spaghetti strands making them easy to eat. Oakes demonstrates his "sleeve protector" which covers a slab of butter to prevent him accidentaly touching it as he leans across a table.